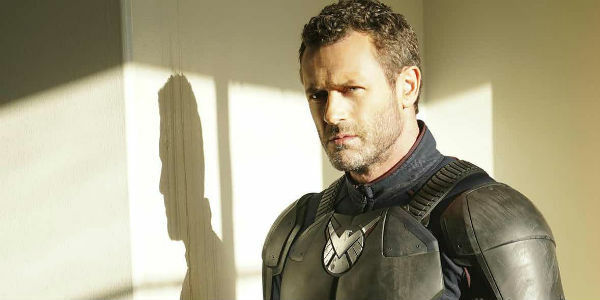 In this week's episode of Marvel’s Agents of S.H.I.E.L.D., titled “Identity and Change,” the team was still stuck in The Framework. The hour was spent trying to convince the team in The Framework of their true identities and let’s just say things didn’t go so well. The episode started off promising with Daisy and Coulson having a nice chat. Coulson said he has fragments of the real world in his memory, but he also mentioned something about being poisoned by soup, so he’s not completely the Coulson we know and love. All that mattered at this point was that he trusted Daisy. The next step was for Daisy and Simmons was to find Radcliffe in the Framework to help them get out. 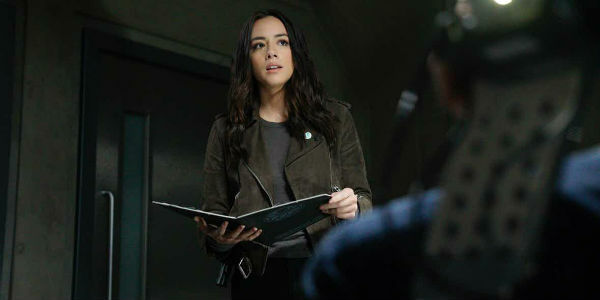 Daisy found his location in the Hydra database, but had to pass the message on with Ward, because she got forced on a mission by May, which brings us to another key member of the team. 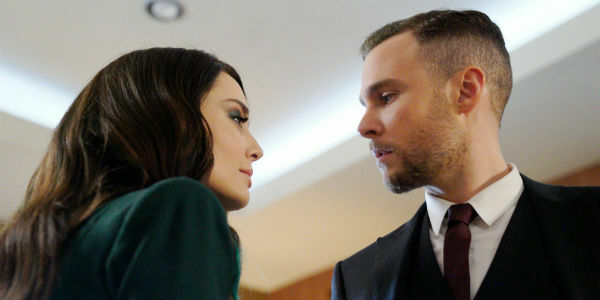 Mack was absent from the first episode in The Framework, but he appeared this week with his daughter Hope. I really enjoyed this storyline of Mack and his daughter, whose nickname is Spark Plug. They were so cute and have such a nice relationship. It’s the one thing about The Framework that I wish was real. They were just doing the best they can while living in this crazy world when they got captured by Hydra. This was super confusing at first, because as far as I could tell there wasn’t any evidence against them for getting called in for questioning. Yeah, they had some Hydra drone parts, but it didn’t seem like Hydra knew anything about that. It turned out to be a trap for Daisy. Mack pretended he knew who she was to get her to confess on tape that she was from the real world. Aida, aka Madame Hydra, must have used her knowledge of the real world relationship to make it all happen. It was a pretty cruel trick. Daisy wanted so badly for Mack to really remember. It was pretty heartbreaking to see her face fall when she realized it was a trap. In the meantime, Coulson, Simmons, and Ward went off to find Radcliffe with the help of S.H.I.E.L.D. and the director, who is still Mace in The Framework. They found Radcliffe on his own island relaxing. He had his full memory of the outside world and even knew that Aida killed him. He said there was a way out of The Framework, but Aida most likely blocked it off. Framework Aida eventually showed up with her sidekick Fitz. They argued with Radcliffe, who tried to convince Fitz of his real identity, but it didn’t work. Fitz killed Agnes, who was also on the island with Radcliffe. It was pretty clear at that point that Fitz has no memory of who he was. It was really tough to see sweet Fitz kill someone in cold blood, even if she was technically already dead. It was even worse to see Simmons watching it happen. These two are just not having a great time again. At the end of the episode, Mack walked in wanting to help S.H.I.E.L.D. and said for the first time he felt ashamed and embarrassed in front of his daughter and he wanted to right his wrong in getting Daisy captured, which shows that the team is slowly getting back together. It also looks like everyone’s going to be stuck in The Framework for a little while longer. - Overall it was a strong episode. The Framework is a very interesting world to be in and I don’t mind that they are taking their time getting out. With Aida reading the Darkhold, it makes sense that she is always one step ahead of them. - As frustrating as evil Fitz is, I find him so fascinating. I’m only worried that Simmons will always remember seeing him kill Agnes once they are back in the real world (assuming they both make it out). - I was kind of surprised that Fitz didn’t remember something at the last minute. Earlier in the episode he said he would “cross the universe for Madame Hydra,” and then Radcliffe said he literally crossed the universe for Simmons. I thought that would have triggered something in his mind like “that sounds like something I would do,” but no luck. - I wonder how much of The Framework they will remember once they are out. It’s going to be so hard on Mack. I wish they could bring Hope back.